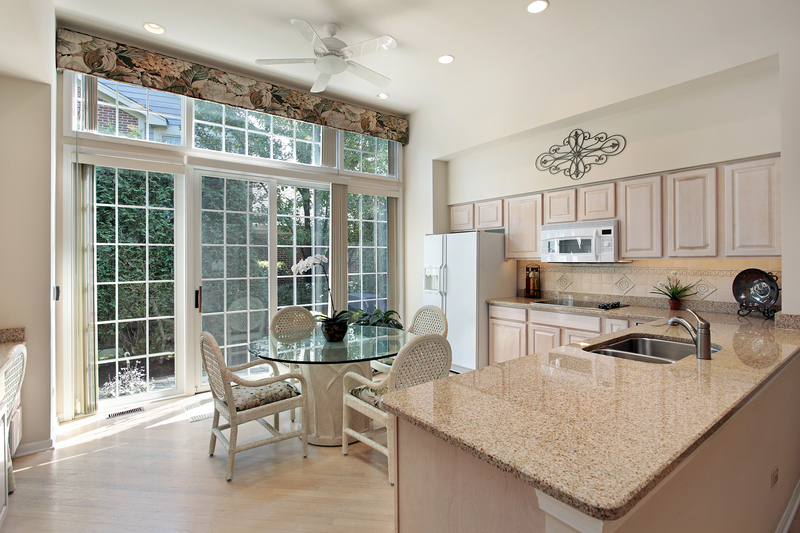 The amount of natural light that flows into a room is substantially more than that of a conventional hinged door. You can always add blinds for privacy or to keep light out. The insulated large, glass panes keep your home cool in the summer and warm in the winter months while allowing you to enjoy the beautiful Pacific Northwest without the worry of allergens, the weather, or other things that make being outside uncomfortable. Adding a sliding door to any room of your house with the help of a sliding door company in Portland, OR makes the outdoors more visible and accessible. Easy access to and visibility of a natural environment promotes calm and balanced feelings. Just looking at nature can reduce negative emotions such as fear and anger while enhancing positive feelings. The result is a boost in overall physical health, including decreased blood pressure, muscle tension, anxiety, and stress. Sliding doors are easy to use and offer quick and easy access to commonly-used areas, particularly useful for entertaining guests. They are twice as large as conventional doors, facilitating smooth movement of furniture and other large objects. Sliding doors are typically found in kitchens and other spaces to provide backyard or patio access. A sliding door company in Portland, OR can provide a quote for maximizing your views to the great outdoors. Considering this upgrade will increase the value of your home, enhance curb appeal, improve your health, and promote visually stunning views.